When not hitchhiking in Iran, taking Pelni boats across the Indonesian archipelago, cycling in Indonesia with folding bikes, or visiting some of the Trans-Siberian Railway’s best stops, I and Kit Yeng live in Malaysia, and always try to see and discover more of this beautiful country, which is perfect for backpacking. As a co-author of the Rough Guide to Malaysia, and regular contributors for Travel + Leisure Southeast Asia, we have scoured the two halves of the country far and wide — from the hills of Penang to the hidden forests of Sabah, the longhouses of Sarawak, and remote Chinese Villages in Kelantan’s heartland. But sometimes, we still miss some great spots: this was the case of Pulau Tenggol, or Tenggol Island. Pulau Tenggol is a beautiful crocodile-shaped island off the coast of central Terengganu, in Peninsular Malaysia’s east coast. It’s the last in a string of popular islands that include Pulau Perhentian, Lang Tengah, Redang and our favorite Pulau Kapas. Tenggol has always been inhabited, just used as a rest stop by passing fishermen, and for this reason, has remained very low-key. 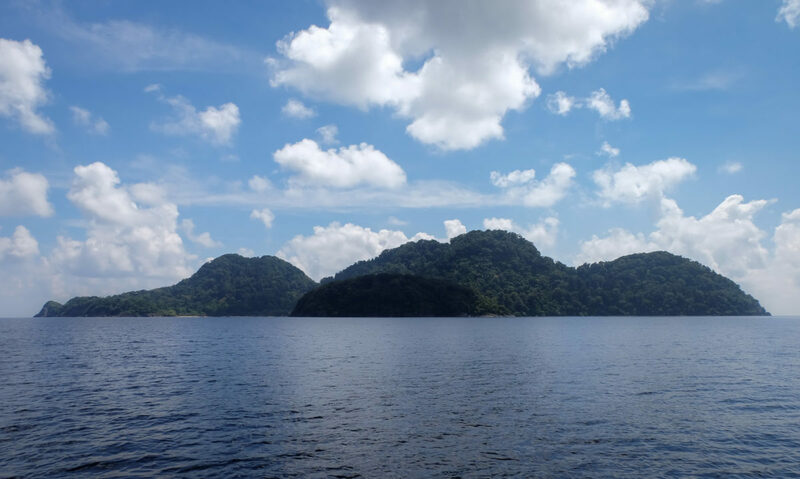 It’s a tiny island, just about 3km in length and 2km at its widest point, and one of the most beautiful and serene in the whole of Peninsular Malaysia. Without any doubt, Pulau Tenggol’s main attraction is its pristine state: beyond the main and only beach Teluk Air Tawar, a white sand cove backed by a steep viridian cliff where three resorts have set up shop, Tenggol is still mostly a virgin island and the southernmost of Terengganu’s Marine Parks. For this reason, Tenggol’s dive sites are superior to the rest of Peninsular Malaysia. Truth be told, very few people, except for diving enthusiasts, know about Tenggol — a good friend of mine from Terengganu, for example, told me he had never visited all his life. Most other Malaysians would not even know this place exists. But it does, and oh boy if we recommend you visit. Part of Tenggol’s “under the radar problem” is because there are no public boats nor flights to Tenggol island. Access is monopolized by the operators that run the only three resorts available on Tenggol, and have their own private boats. And given that there is no other way to get here, and camping is prohibited, your only bet is to contact one of the resorts and organize one of their all-inclusive Tenggol island vacation packages. 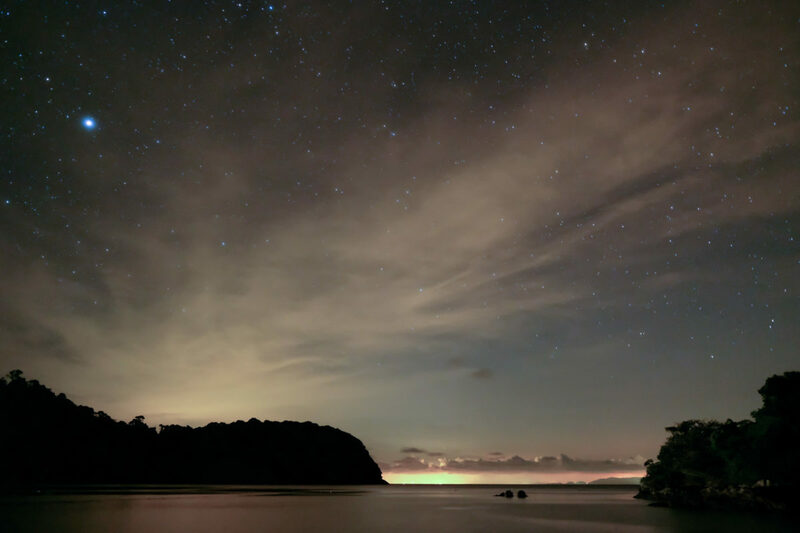 Pulau Tenggol is one of Peninsular Malaysia’s most pristine marine environments (picture by Kit Yeng Chan). 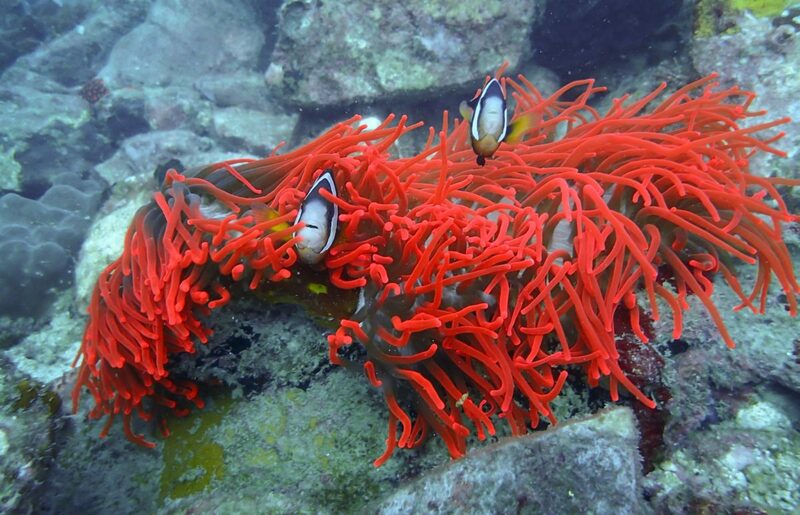 A good 80% of visitors to Pulau Tenggol come for the excellent diving. 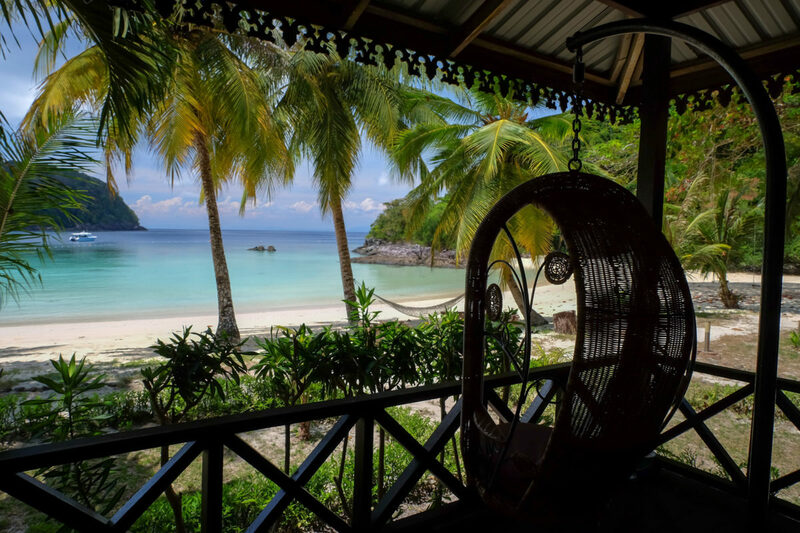 Pulau Tenggol’s resorts usually sell diving packages that include four dives over two days. Tenggol Coral Beach Resort has a very efficient dive centre manned by young and enthusiast Malay staff and dive masters who guide divers out at 8.30 am and 10.30 am, and 2.30 pm and 4.30 pm. You can decide what time you want to dive, and I can highly recommend doing so in the mornings when visibility is better, and the light is not too harsh above the water — this makes the sea bottom too shiny, and harder to see and enjoy. Dives are included in your package, and you can go for an additional night dive (minimum of 4 persons, at RM120 each). Remember that equipment rental is extra, at RM 90 per day. Price also includes beachfront accommodation on Tenggol island. Having remained a private island off the radar, Pulau Tenggol’s marine life and corals are in top condition, and the island’s outer reaches are a usual passage channel whale sharks. Sightings are quite common but don’t come expecting to see one, or you may leave very disappointed (Yes, we did NOT see the whale shark). 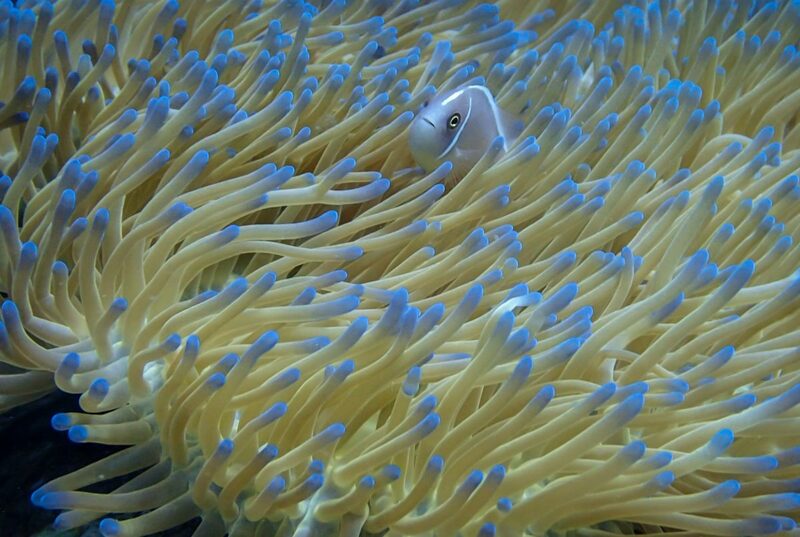 Among other big fish, you may see bumpheads and Napoleon, and of course, hawksbill and green turtles. Another interesting Tenggol dive site is Tokong Timur, off a tiny islet south of the southernmost tip of the island. 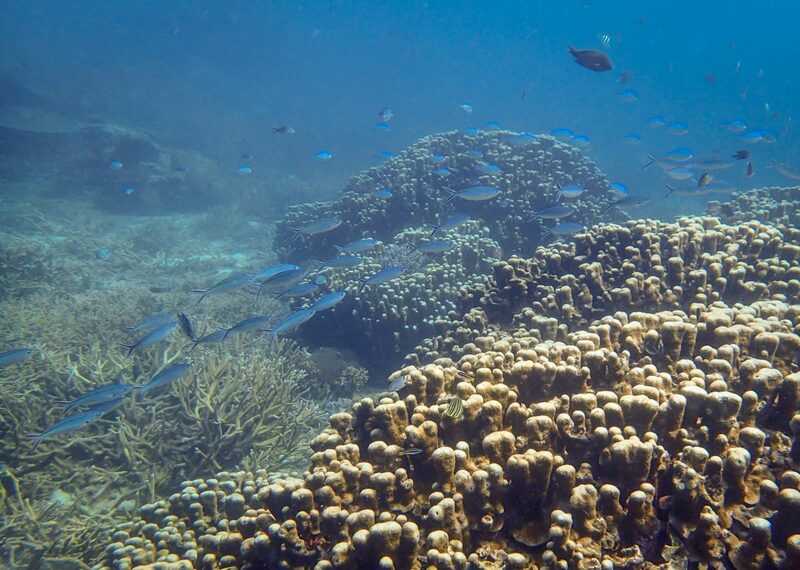 With good visibility, floating next to the reef here guarantees more sightings of fish, rock formations and healthy coral. The current is not as strong as, let’s say, dive sites in Indonesia, but since Tenggol faces the open sea and it’s farther from the coast than other Terengganu islands, it can be tricky for inexperienced divers. 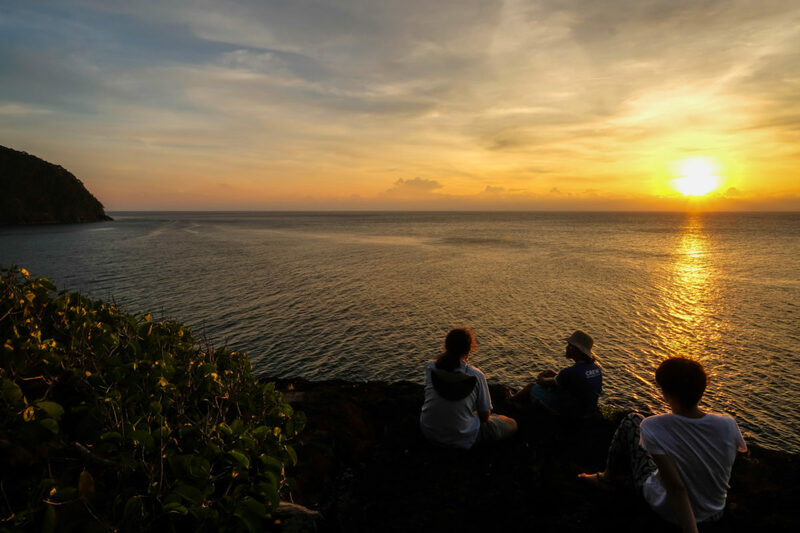 You can visit Pulau Tenggol anytime from the beginning of March until the end of October. From November until March, the island is off limits because of the monsoon. Besides the rain, water is choppy, and the resorts o the island close shop. 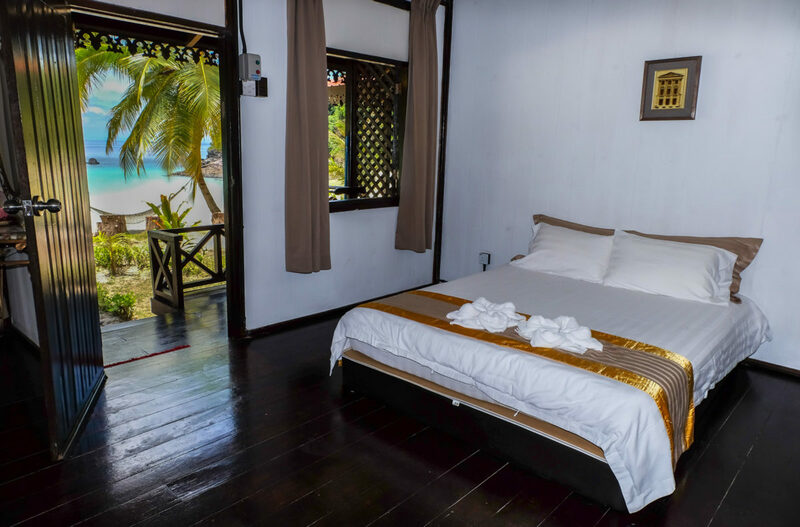 There are only three small resorts, and even if all offer beachfront accommodation on Tenggol island, we think that the best is Tenggol Coral Beach Resort. Set on the northern end of Teluk Air Tawar, it’s a cluster of five very nice and breezy seafront deluxe bungalows with verandas, four simpler beach chalets, ten bay view bungalows set a bit further back against the forested hill, two dormitories, and four standard rooms. You can check stay and dive packages on the resort’s website linked above. Compared to rooms on most other Malaysian islands, those at Tenggol Coral Beach Resort are well maintained. Wooden floors and partitions pair well with the concrete walls and large en-suite bathrooms at the back, all equipped with hot-water showers (not necessary on a tropical island, but why not). The rooms have air conditioning, plush mattresses, and fresh linens, so really nothing to complain. We stayed in a deluxe bungalow with one double and two single beds placed in a spacious main room with access to a wooden veranda through a wall window. There are very comfortable suspended rattan chairs where it’s great to relax, especially at sunset. If you need to spend the night in Dungun, we recommend you stay at Riverbank 101 guesthouse *, the sister property of Tenggol Coral Beach. They have clean dorms and rooms right at the A’king jetty, from where your boat to Tenggol will leave in the morning at 10.30 am. 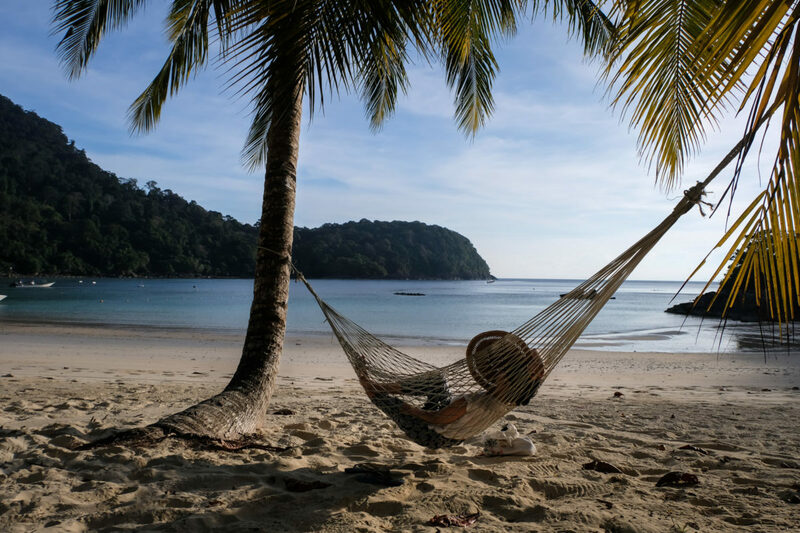 Pulau Tenggol is also available as a day trip from the most luxe resort in Kuala Dungun, and possibly the whole of Terengganu: the Tanjung Jara Resort *. Set on a private stretch of beach just north of Dungun, this 5-star resort uses traditional Terengganu Malay architecture to pack a series of jungle and beachfront chalet accommodation that make for a perfect retreat for families. By deciding to stay here you won’t be on the island, but you’ll live it up big time, for sure. 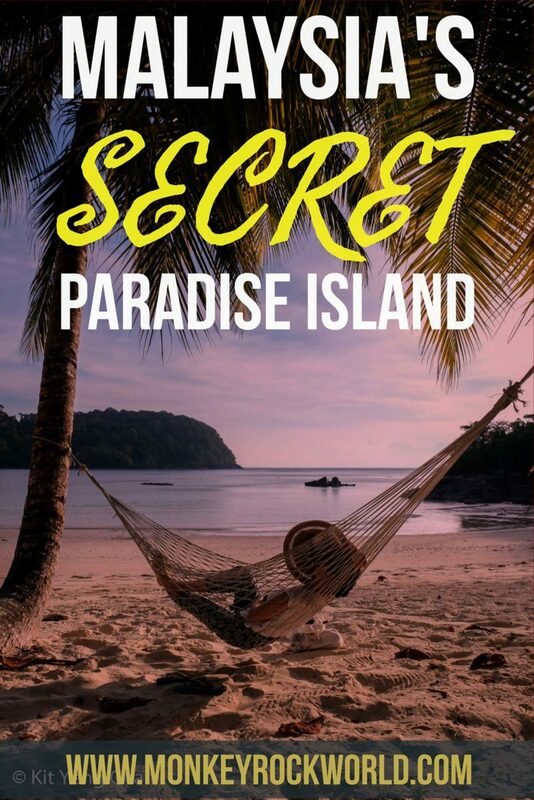 The island has really nothing except for the three resorts, so it’s understood that you will eat where you stay as part of a package. Tenggol Coral Beach Resort has a restaurant smack center on the beach and decked out in wood, where the staff serves four meals per day. All are included in the price of accommodation. Food is of good quality, with a lot of fresh seafood, and a pretty wide variety of mains and sides. In a 2 nights/3 days package, you will be treated to one barbecue dinner, which we enjoyed very much. I ate a Western-styled lamb steak served with mash potatoes and gravy and was quite impressed with it. Good job chef. Pulau Tenggol is about 14 nautical miles and 45 minutes boat ride away from Kuala Dungun, in central Terengganu. Private boats depart at 10.30 am from the A’king jetty as part of the package from Tenggol Coral Beach Resort. See the map below for directions. Riverbank 101 guesthouse * is exactly opposite the jetty, and offers ample free parking space. From Kuala Lumpur : the fastest way to reach Pulau Tenggol is taking the Karak Highway to Kuantan and then continue up the east coast, and exit at Dungun. It’s a 3/4 hours drive in normal conditions. From Penang: take the free east-west highway 4 over the Titiwangsa range and until Jeli, and proceed up to Machang, where you connect with highway 3 to Kuala Terengganu. From here, continue south driving the last 70km to Dunggun. It’s a 6 to 7-hour drive on toll-free roads. From Ipoh: the most direct way is via Simpang Pulai and the Cameron Highlands. At Kampung Raja, proceed to Gua Musang on the new 4-lane highway, and from here continue to Tasik Kenyr on the less inspiring Felda Road. Kuala Terengganu is about 50km from the lake, and as above, you’ll have to proceed south to Dungung. It’s a 6 to 7-hour drive on toll-free roads. From Singapore : it’s best to drive to Kuala Lumpur and take the Karak Highway from here. All in all, this journey will take up to 8 hours, but you’ll be always using a highway. Otherwise, you can drive on the east coast of Johor and continue up into Pahang and Terengganu, but it’s a slow drive along interstate roads. Note that you can safely park your vehicle for free at the A’king jetty while you stay on Tenggol. Kuala Terengganu is the closest airport to Dungun. You can catch a Grab car into the city and reach the bus station, and from there proceed by bus to Dungun. You can also organize an airport pick-up with Tenggol Coral Beach Resort. Most major Malaysian cities, including Kuala Lumpur, Ipoh, Johor Bahru and Butterworth, have direct connections to Kuala Terengganu. From here, connecting buses proceed to Kuala Dungun. From Singapore, there are direct bus services to Kuala Dungun — but remember it’s always cheaper to buy tickets on the Malaysian side. Travel by bus from the bus park opposite the Victoria MRT station in Singapore and catch a local international bus to the Larkin Bus terminal in Johor Bharu (about SIN$3) and transfer to a bus to Terengganu here. DO YOU THINK THIS GUIDE IS USEFUL AND WELL-WRITTEN? PLEASE PIN IT TO YOUR PINTEREST BOARDS AND SHARE!! Disclaimer: we have been hosted by Tenggol Coral Beach Resort, but all the opinions expressed in this article are our own, and we didn’t receive any compensation for writing this article. Trust us: we would not recommend to our readers anywhere we wouldn’t stay ourselves. Also, links marked with * can earn us a small commission at no extra cost to you. We are very upfront about this. Consider it as a way to help us keep this site and all its awesome content free of charge.